Whispering Aspen Ranch offers a dream setting for family fun, recreation, and quiet seclusion with a authentic handcrafted log home, horse barn, spring fed pond, and magnificent views of Pikes Peak. 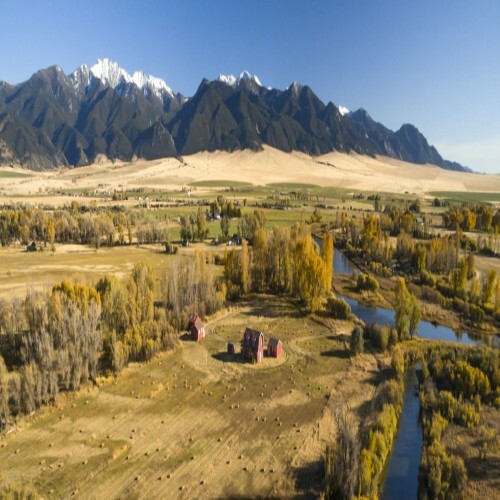 The land is gorgeous with a combination of mountain meadows and tall timber. 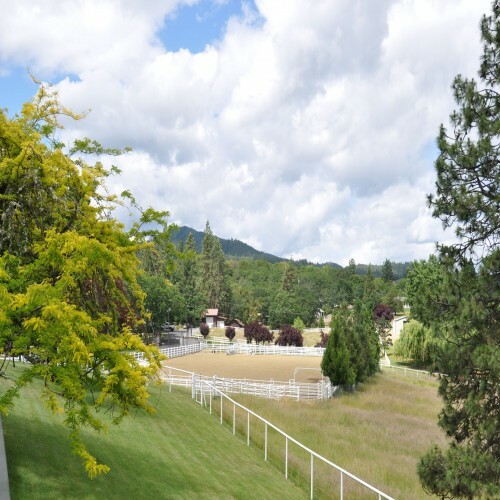 The property is accessible year-round, so many uses are possible, including horse back riding, ATV exploration, hiking, camping, and hunting. Enjoy sunrise and sunset from the massive deck or sit around the fire pit, tell tall tales, and admire the star filled sky at night. The property adjoins 640 acres of State land which adjoins 1,000s of acres of BLM lands offering future protection and privacy. The log home features a full log design with 12³ Englemann Spruce logs and notched lap joints. There is approximately 3,000 square feet of finished living space with 3 bedrooms and 3 baths. A great room with exposed logs and a wall of windows offers an ideal gathering place to entertain or cozy up to the Tulikiv soapstone fireplace on cool Colorado evenings. The cabin also features a loft master bedroom suite with a private balcony, large closet, and claw foot tub in the bathroom. The kitchen offers granite counter tops, breakfast bar, stainless steel appliances, gas cook top and a large pantry. An expansive deck wraps around the cabin offering a wonderful transition from indoor to outdoor living and entertaining. The walk out lower level features a large family room, bedroom and laundry room. Bring your horses or store your toys in a 36 x 60 (5) stall barn with tack room and a detached garage. An easy drive to Woodland Park, Cripple Creek, Canon City and only 90 minutes west of Colorado Springs and its commercial airport, Whispering Aspen Ranch is close to everything, yet off the beaten path. Once you get here, you will never want to leave! Jeff Switzer founded Rocky Mountain Ranch & Land to realize his vision and passion for the land. He brings over 25 years of experience to the real estate business and his love of the land and the outdoors extends through his business practices. He has been a licensed real estate broker in 5 states and currently holds active licenses in Colorado and Florida. He has worked in every facet of the recreational land business including acquisitions, sales & marketing, land planning, entitlements, and development and has held senior executive positions for several nationally recognized real estate companies. 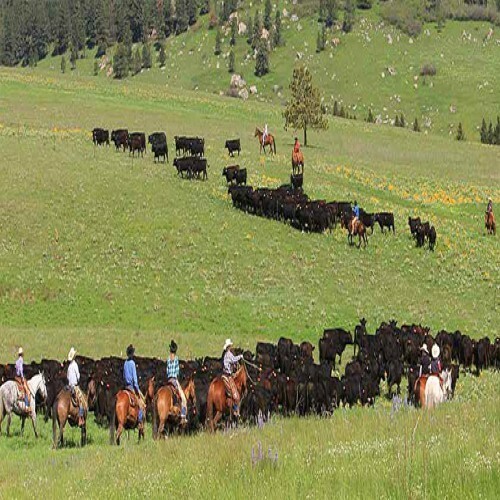 His experience has taken him to every region of the United States and since 1995 he has acquired or managed the development and sale of numerous ranch and recreational properties throughout Central and Southern Colorado. 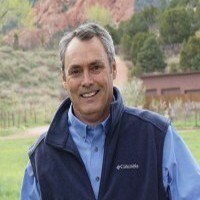 Jeff has successfully navigated complex real estate transactions involving land use issues, conservation easements, mineral and water rights, livestock, ranch management, grazing and hunting leases, family trust and partnership issues, project financing, and negotiations with State and Federal agencies. Furthermore, as a principal in many of these transactions, Jeff is acutely aware of identifying the best values in the real estate market for buyers and the latest and most innovative marketing strategies for sellers.